Roseola is a viral illness caused by a herpesvirus, HHV 6. It commonly affects younger children under 3 years old. It is also known as sixth disease or roseola infantum. Roseola typically starts with a high fever, little or no upper respiratory tract symptoms for 3-7 days, with a characteristic rash that appears once the fever resolves. 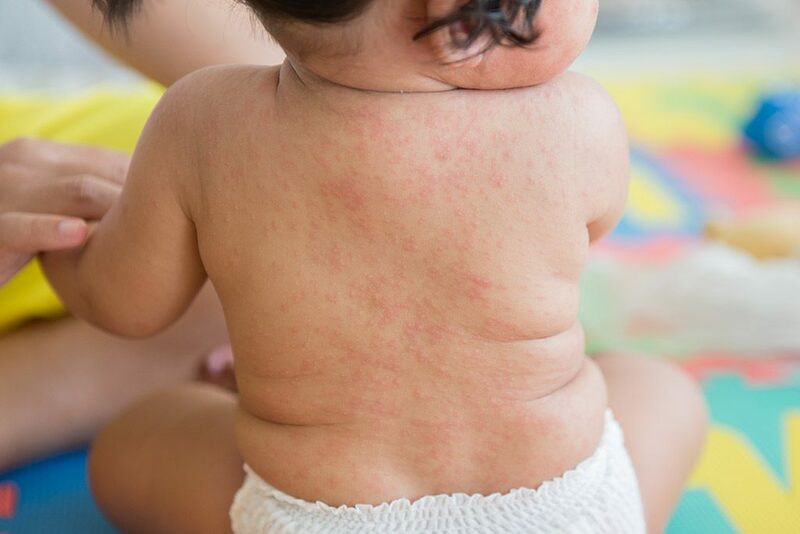 The erythematous maculopapular rash of roseola can last hours to days. Febrile seizures can be a common complication of HHV-6. Roseola is usually diagnosed based on your child’s history and physical exam. The treatment is supportive with rest, antipyretics, and fluids.